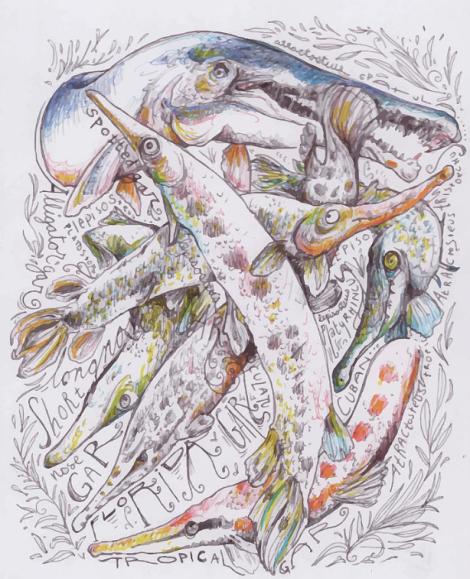 We had the privilege of writing a guest post on gars for the FINtastic Fisheries Blog; and check out the awesome GARtwork by Hannah Dean! The 7 gar (Lepisosteidae) species of the world. Find prints of this Gartwork at Hannah Dean‘s website. ~Solomon David, describing a gar to just about anyone. With descriptions like these, is it any surprise that gars (Lepisosteidae) aren’t the most popular fishes “in the sea?” Did I mention they’re armored with enamel-like scales and have jaws full of sharp teeth…and they can breathe air? What’s not to like? We are planning a new symposium focusing on the ecology, conservation, and management of Holostean Fishes (Gars and Bowfin) for the 2016 American Fisheries Society conference in Kansas City, Missouri! Please share with those who may be interested, and see contact info below if you have questions/comments. More information coming soon! If you manage or are conducting research related to Holostean fisheries, please consider participating in this special symposium. The organizers are planning some type of proceedings or special journal issue where presenters can publish their work if they wish, but the final decision will be based on input from participants. If you have information you’d like to share that would advance our understanding of Ancient Fishes, please contact the organizers for more information. The organizers are also seeking potential sponsors for this event. If you or your organization is interested in sponsoring the symposium, please contact the organizers. Follow @PrimitiveFishes & @SFEL_Stein for more updates and information! There’s been a lot of recent discussion regarding bowfin, gars, and other “rough fish” in the context of bowfishing (often wasteful harvest of native species), management (regulated harvest), and conservation. All three of these activities need not exist in conflict with each other (except wasteful harvest). We are raising awareness as to the value of these species in some cases, but there’s still much work to be done! 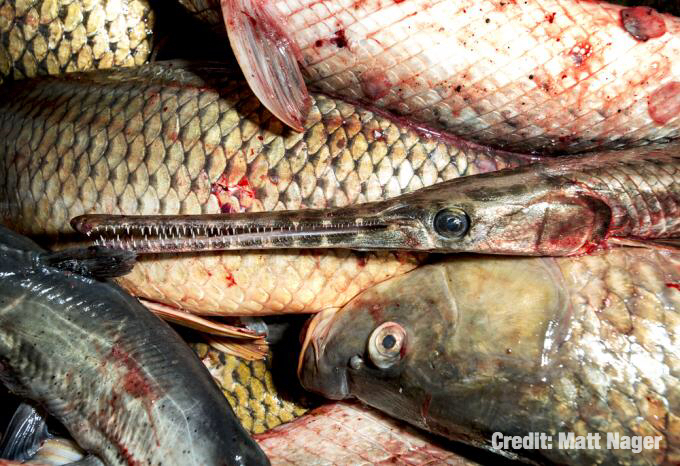 With conservation and managed harvest (including bowfishing) in mind, we are pleased to bring you the “Gar Wars” Twitter chat via The Nature Conservancy! We invite ALL interested individuals, groups, etc to join the discussion on July 8, at noon EST. Please share with others who may be interested, and we hope to further raise awareness as to the conservation value of these oft-maligned ancient native species!